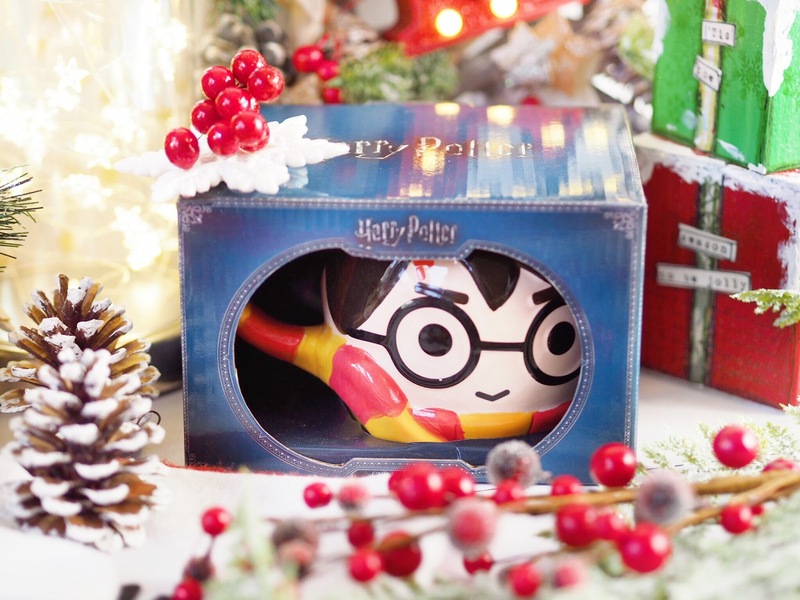 Even someone who isn’t the worlds biggest fan of Harry Potter would love this mug. It ticks lots of the ‘stocking fillers criteria’ boxes because it’s affordable, useful and needed (who doesn’t need a good mug at Christmas?!) I actually first saw this on Hayley’s Instagram feed and I knew I wanted one from then, and it’s just so cute it would make a fantastic little stocking filler. What girl wouldn’t love some jewellery in her stocking this Christmas? 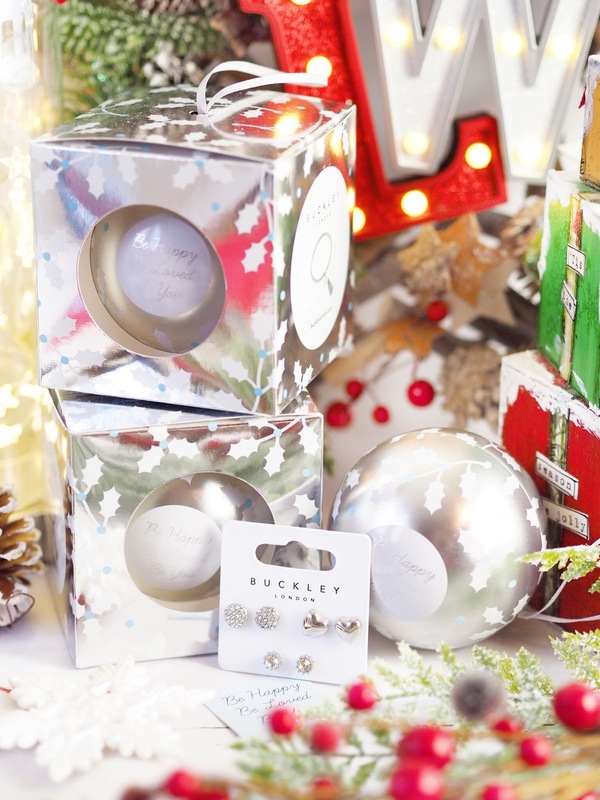 That bit of bling and glitz brings a smile to any girls’ face and Buckley London have the perfect stocking filler variety. Their cute decorative baubles house a lovely and unique piece of jewellery (there’s earrings and bracelet selections to pick from) and they’re all good quality too. Not only that but the baubles are so pretty they can be used as a tree decoration too, For only £12 this would make any girl smile and it won’t break the bank either. I’m loving the earring bauble! Another perfect stocking filler for her this Christmas, is make-up. The everyday sets featuring items that you can’t go wrong with are ideal. 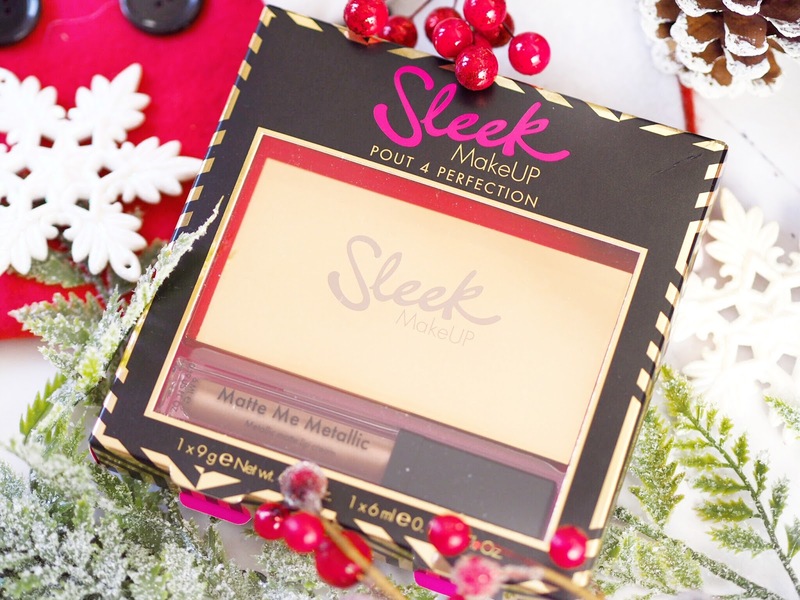 Sleek Make Up are perfect for budget friendly goodies and their Christmas sets are no different. A perfect stocking filler is their Pout 4 Perfection set which includes the hugely popular Solstice Highlighting Palette and matching Matte Me Metallic Lip Gloss. A two piece set in versatile shades, everyone will appreciate Santa’s elves putting this in their stocking. A sure-fire hit for Christmas, will always be perfume. 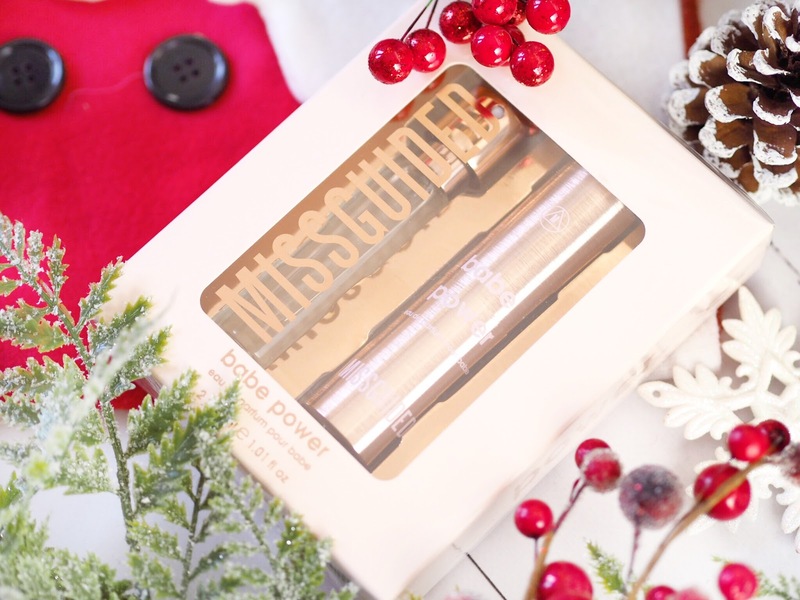 And the lovely Missguided Babe Power is fresh and feminine and a lovely everyday scent to wear. With notes of vanilla, peony and jasmine, it’s got a really flirty and fun edge which I can’t imagine anyone would dislike. The Travel Set comes with 2x 15ml and a travel atomiser, making it great for keeping in your handbag and carrying round with you. I would love to get a mini perfume set in my stocking and this one would be perfect. And it’s another treat that won’t break the bank either. 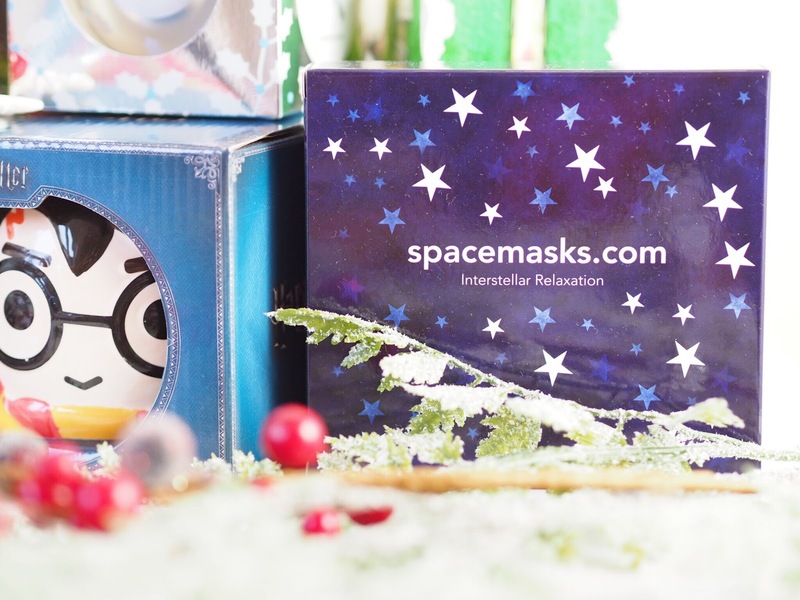 If you buy one thing for yourself and as a gift this Christmas, it NEEDS to be a box of Spacemasks. I’ve been raving about these since the summer and they are still one of my favourite things for relaxing. The self-heating eye masks warm when you wear them and release the most gorgeous jasmine scent which also helps relaxation. They say they are heated for 15 minutes each, but mine have always lasted much longer. Plus a friend of mine told me the first time she used hers she fell asleep and woke up the next morning – that’s how relaxing they are. You will not got wrong with these! One thing me and my Mum do every Christmas is buy each other a blow-the-budget shampoo and conditioner set. We both love going to the hairdressers but it’s not always cost effective to buy the salon products. 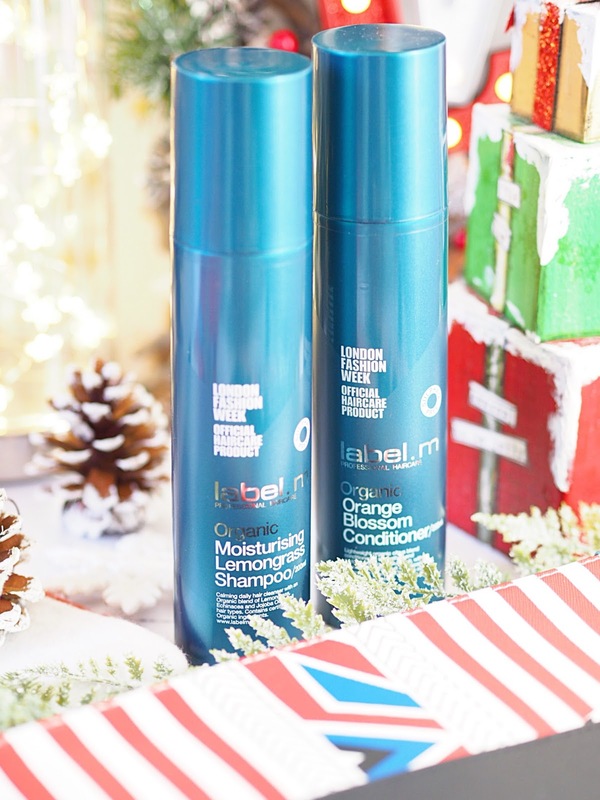 But Christmas is one time when we do, and this year I am loving the Label.m Orange Blossom Shampoo and Conditioner set (which was the official hair care product of London Fashion Week.) The set strengthens and revives hair and is really lightweight so it won’t weigh you down. 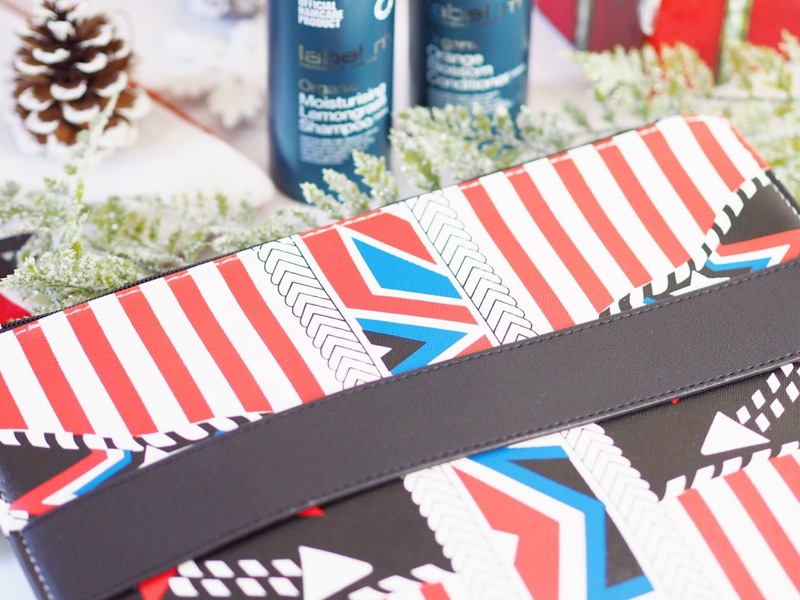 Plus when you buy the limited edition sets from Label.m you also get a free designer House of Holland clutch bag! So it makes the splurge WELL worth it just for the designer bag alone! A great stocking filler, this is the sort of thing that everyone can benefit from having, but you wouldn’t necessarily buy for yourself. 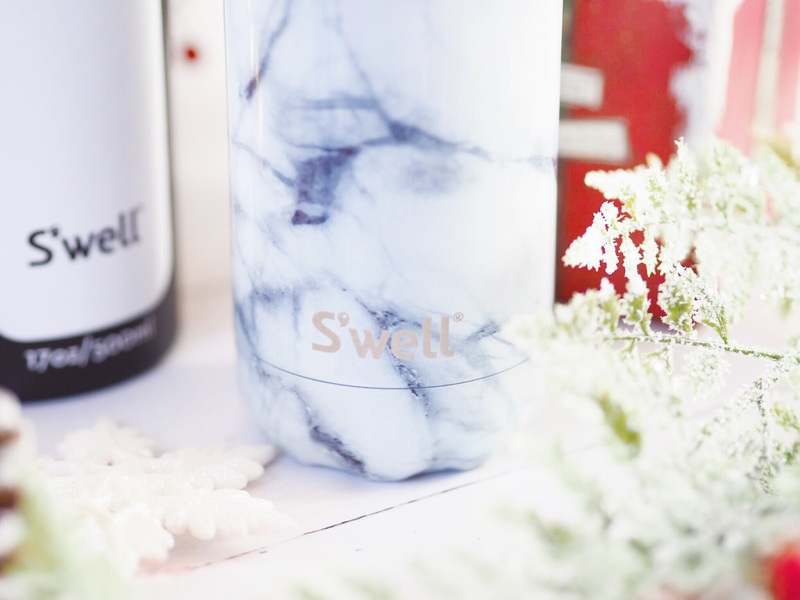 The S’well range of water bottles keeps drinks icy cold for 24 hours, and hot for 12. Meaning you can use it for keeping water on your desk at work, or taking coffee to the office and it still being hot when you get there. 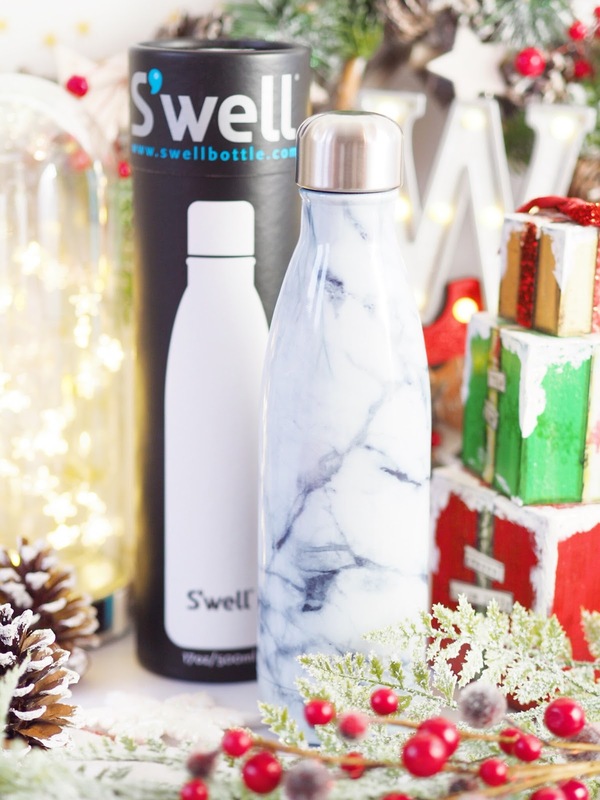 S’well are on a mission to rid the world of plastic bottles by creating their own stunning bottles, so one of these would be a great gift with meaning! I love the marble varieties (there’s several colours to pick from) and me and my partner are already fighting over who gets to use ours each day! Another product I don’t often buy for myself as much, is nail polish. 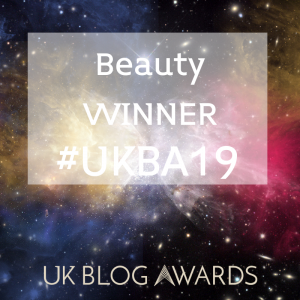 Jessica do the most amazing nail polishes that I’ve loved reviewing this year. Therefore it’s no surprise that their Christmas sets are amazing too, and this set of five mini versions is the perfect stocking filler. 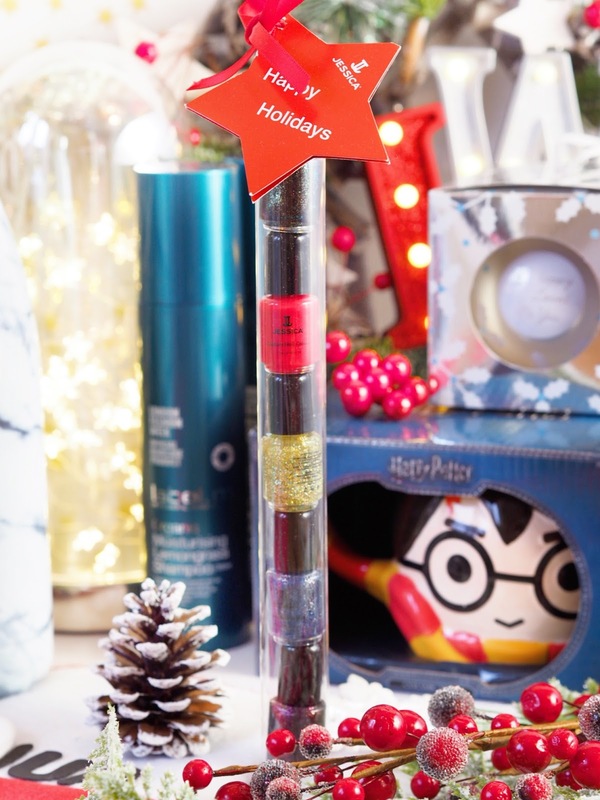 Cute and nifty, this little tube has shades for the perfect winter nails and comes with a little star tag, ready to fill out from Santa. With lots of glitter finishes, it’s perfect for party season too. 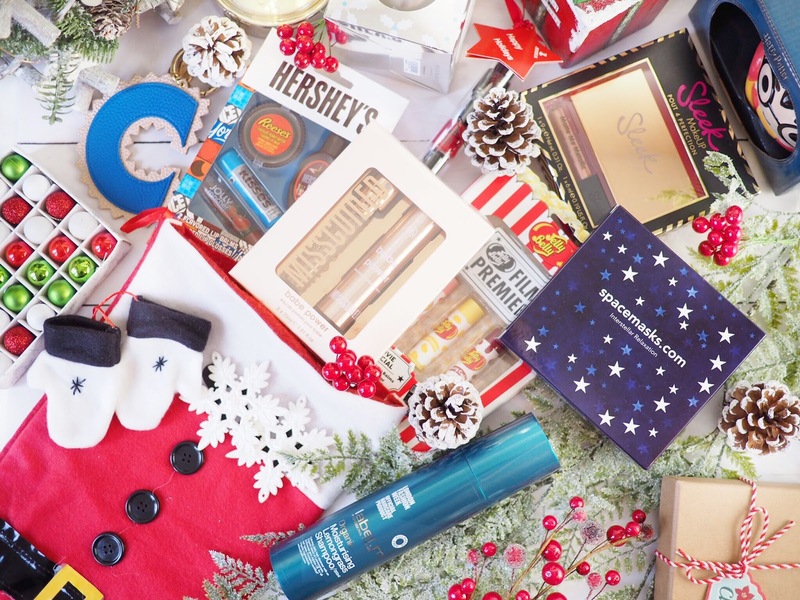 What’s more fun than finding something fun in your stocking hey?! I love all things cute and miniature and a stocking filler is the perfect opportunity for novelty lip balm sets like these. 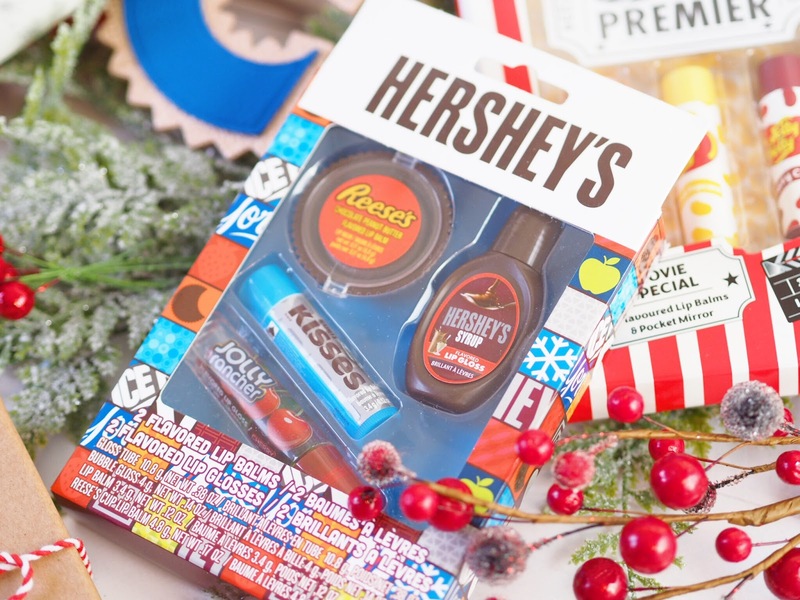 The Hershey’s set features two flavoured lip balms and two flavoured glosses and is perfect for the chocolate lover in your life. Plus it’s only £8.50 from Boots and is in their wonderful 3 for 2 Gift section! 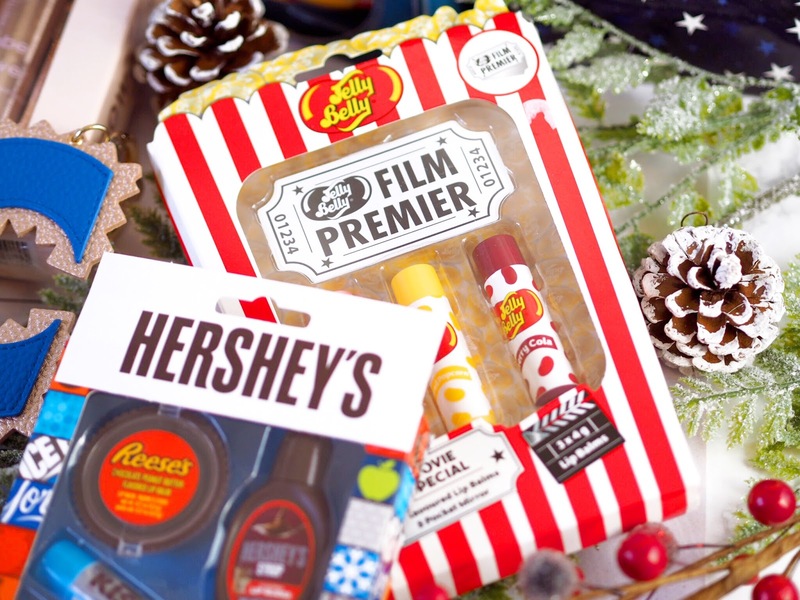 Then there’s the Jelly Belly Set featuring three flavoured lip balms and matching mirror, and it’s only £4.50 from Primark. Great for sweet toothed friends who prefer sweets over chocolates. Again, these sets aren’t necessarily something you’d buy for yourself, so buying them for a stocking filler gift is perfect! A blow-the-budget stocking filler would have to be the stunning keyrings from Iphoria. 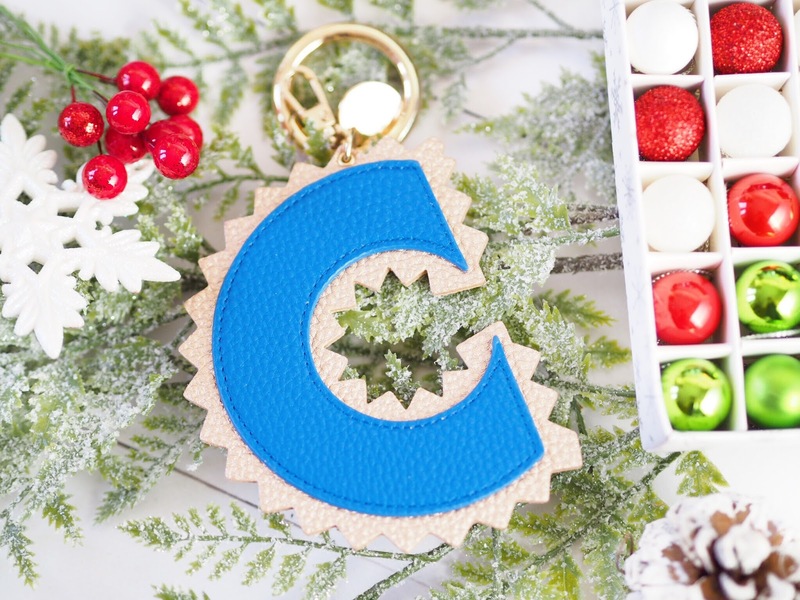 A European brand who make the coolest accessories including these large alphabet keyrings. Made from veggie-leather, they come with a chunky keychain to attach to your favourite bag easily. Thick, excellent quality and great for personalising your favourite bag, these keyrings would be the best original and blow-the-budget stocking filler you could find. 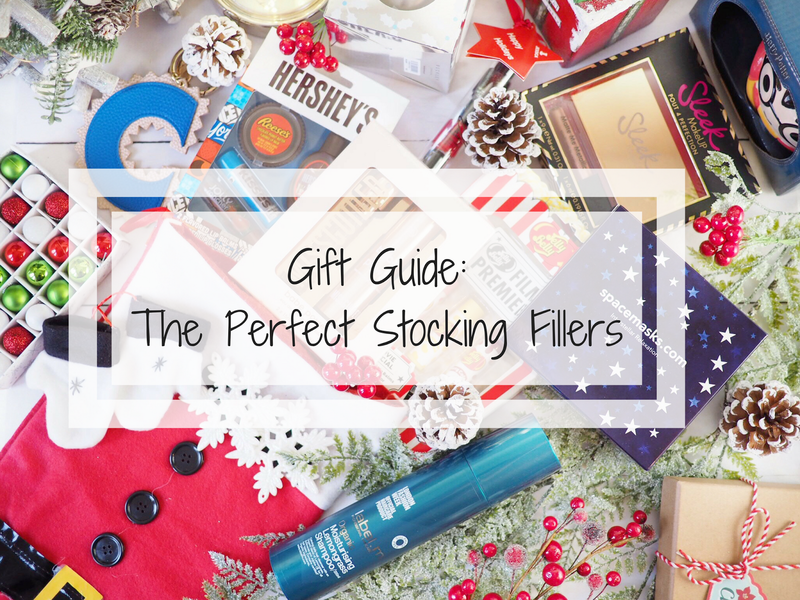 So if you’re looking for great stocking fillers you’re sure to find plenty of ideas here! I would be thrilled to receive any one of these in my stocking on Christmas morning and if you ask Santa really nicely, I’m sure you will too! 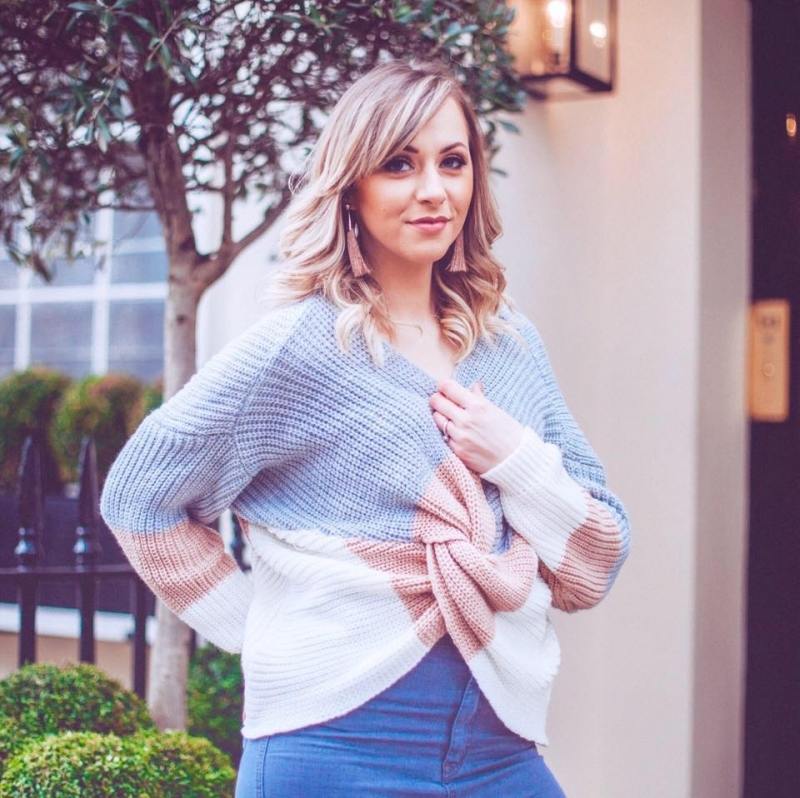 Previous Post Indeed Labs Launches on ASOS!